Comfortable, durable and long lasting print, one word - Quality! Vinyl wristbands are the premium choice for secure crowd control and visitor identification. This product is constructed of multi layered vinyl for unbeatable strength, durability and comfort. 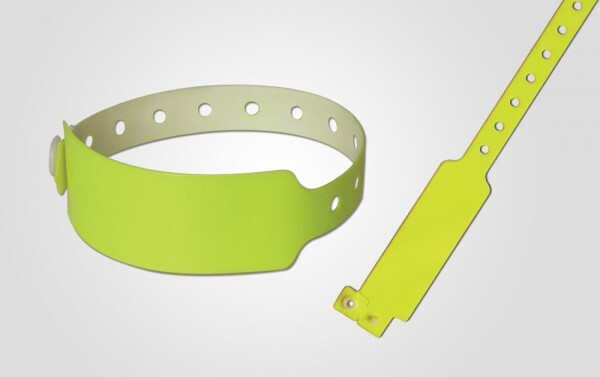 Vinyl wristbands are waterproof, more durable and secure than Tyvek and Plastic wristbands and are way more comfortable to wear for longer periods. 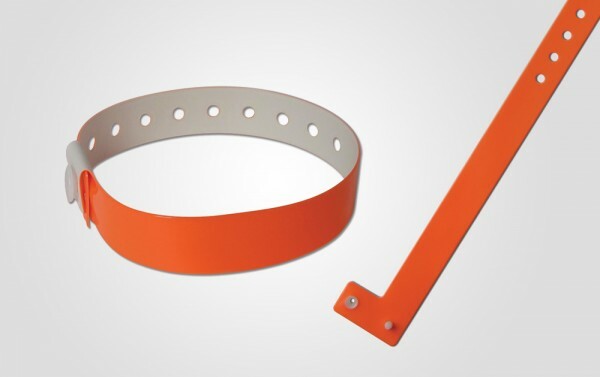 Our custom vinyl wristbands feature a locking plastic snap to prevent transfer, these wristbands are ideal for multi day use. This fantastic product gives you the choice of two different shapes - L-shape and Wide Face. Our vinyl wristbands are available in selection of bright, vibrant colours with custom printing available using silkscreen printing method to suit your brand requirements. 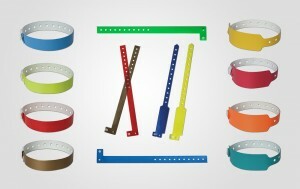 ► Perfect for person identification at leisure parks, events or hotels.